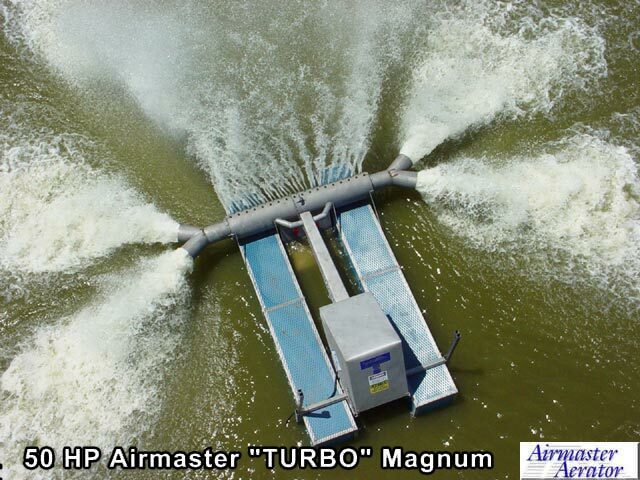 "How Does the Airmaster Aerator Work"
Airmaster Aerator specializes in aerators, aeration, industrial wastewater treatment, pond aeration, wastewater aeration systems and aeration equipment. The Airmaster Aerator "TURBO" aeration system is one of the most advanced and efficient aerator technologies available on the market today. Our industrial and municipal aeration equipment features stainless steel construction and a "TURBO" blower to achieve maximum aeration. Our aerators have a unique design that allow us to achieve high capacity water movement with aeration. 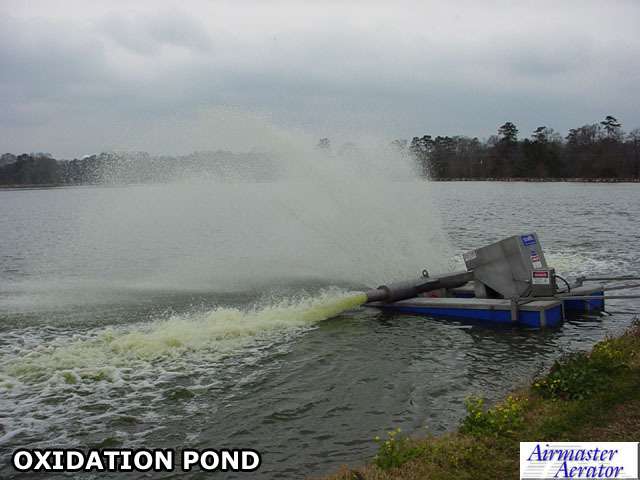 These aerators can be installed in ponds, lagoons, aeration basins and oxidation ditches. 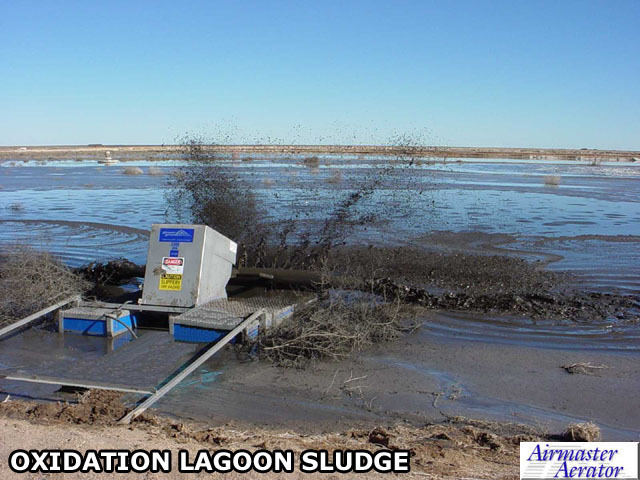 Mechanical aeration of lagoons, pond aeration and sludge removal are accomplished with up to three times the reduction in horsepower of old waste treatment and aerator technology. With our toothed, synchronous drive system, we can change the speed, performance, and energy consumption of an aerator of a specific given horsepower. 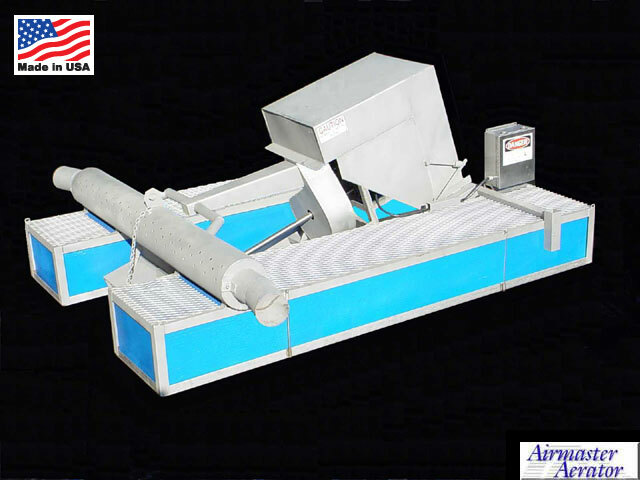 Each aerator produces two distinct mixing zones for complete mixing of the biomass. 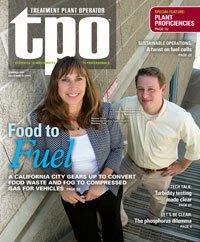 These advanced wastewater aeration systems will help you meet regulations and permit limits. The aerator sizes available are 10 h.p. single phase and 10 h.p., 15 h.p., 20 h.p., 25 h.p., and 50 h.p. three phase aerators. Copyright © 2003 Airmaster Aerator LLC. All rights reserved.